Hi! Always be grateful and thankful to God with all our blessing. We are fortunate but how about those who are not as fortunate as us. Do what we can to help others and share our blessing may God bless us with more happiness. Do good and feel great. 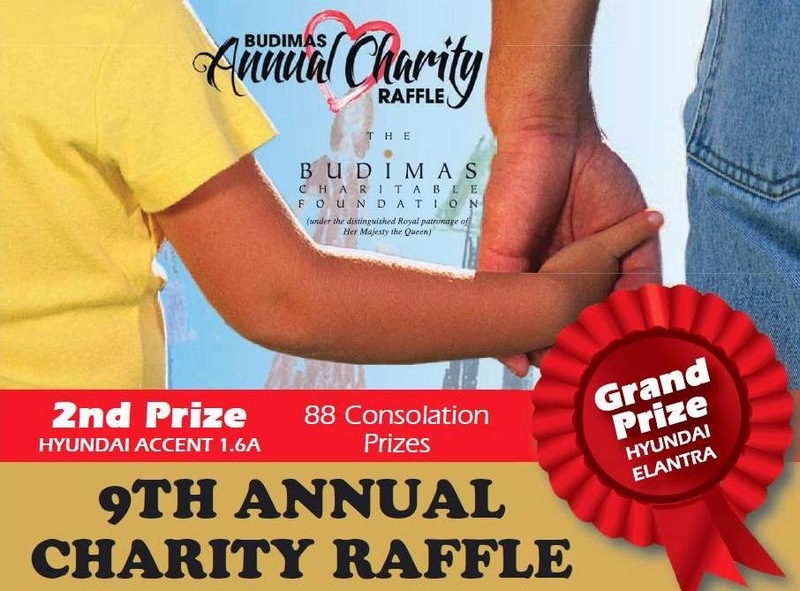 I hope you could support the 9th Budimas Annual Charity Raffles. The tickets are sold at RM 10 each, RM 50 per booklet. Help Budimas to help these children lead a life of meaning, respect and dignity. The Budimas Charitable Foundation was incorporated in 1998 and is under the royal patronage of Duli Yang Maha Mulia Seri Paduka Baginda, Raja Permaisuri Agong. 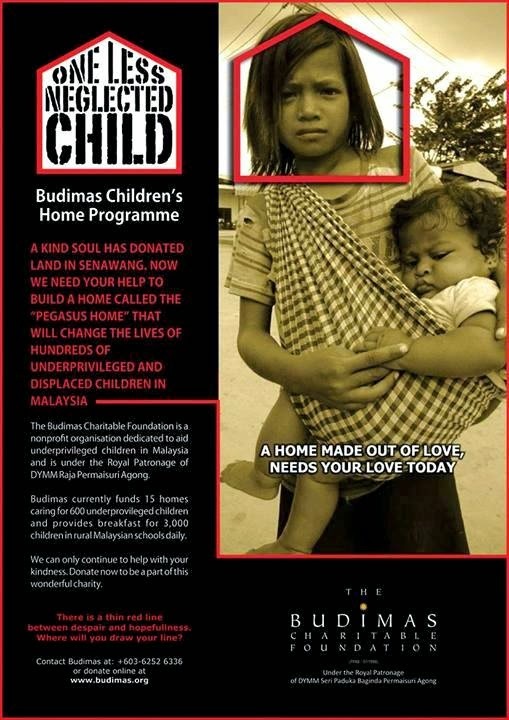 Budimas is supporting more than 850 orphaned and underprivileged children in 15 charitable homes throughout the country. 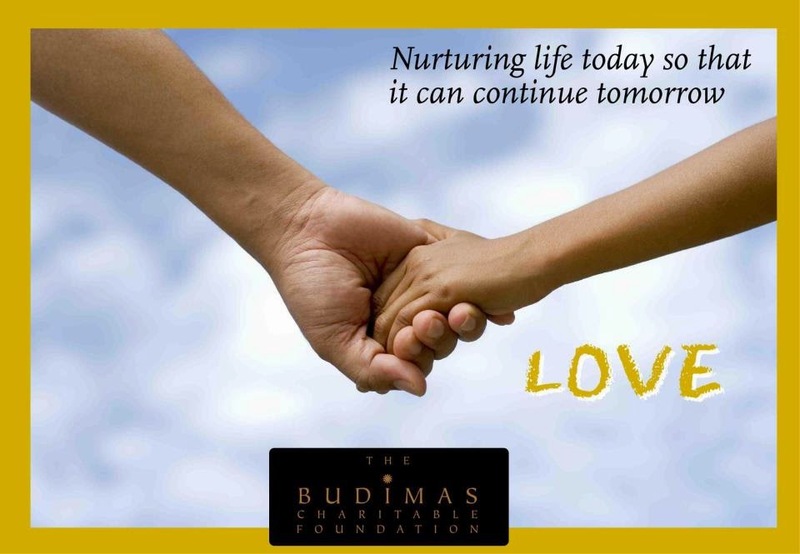 Budimas also recently established its very own shelter home which currently cares for 36 underprivileged children. They help to feed, clothe, care and support these children in every way possible to ensure they are given a future of love, hope and a home as much as any other ordinary child. Budimas provide guidance, funding and a healthy environment in support of the well-being of orphans and underprivileged children in Malaysia. Hopefully you can support and help, tickets are on sale from 1st December 2013 till 28th February 2014. The Raffles Draw date is on 4th April 2014.